Treat your mother to an amazing Eco-Friendly Mother’s Day Breakfast this year! Whether you still live at home and can make her breakfast in bed or you simply invite her over for the morning, Ecopartytime has the perfect products so you can treat her to a beautiful breakfast. 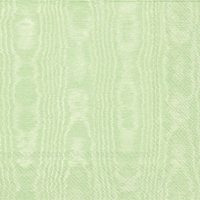 What better way to thank your eco-conscious Mother than with a lovely eco-friendly Mother’s Day Breakfast? 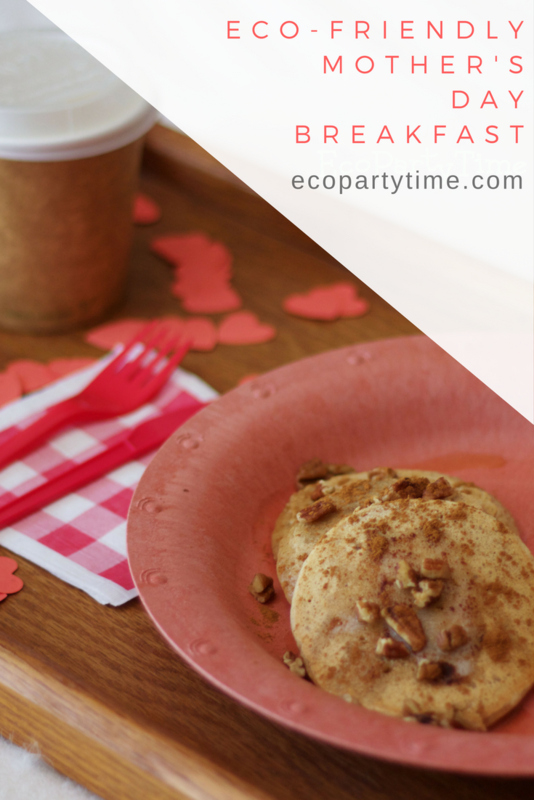 Here are the Ecopartytime products I used to create a beautiful breakfast in bed for my Mom. To start, you’ll need some great eco-friendly plates to serve your breakfast on! 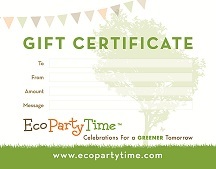 Ecopartytime has multiple options for you to choose from. 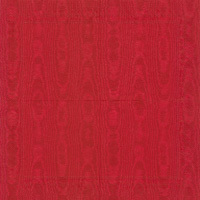 I decided to use Ecopartytime’s lovely Red Colored Plates for this occasion since that’s my mother’s favorite color. 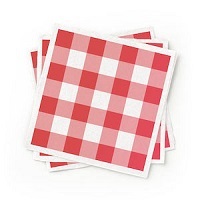 I also used Ecopartytime’s Red Compostable Utensils and Red Patterned Napkins. Once you have the tableware, you’ll need some simple decorations and favors! 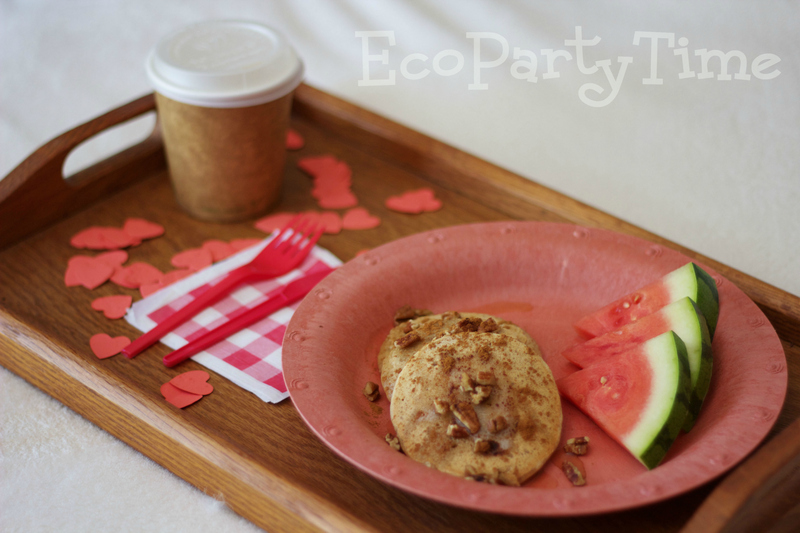 I used Ecopartytime’s Heart Plantable Confetti to decorate the breakfast tray. This confetti could also be spread across a table! Most women love chocolate (of course) so I decided to create a yummy chocolate gift. 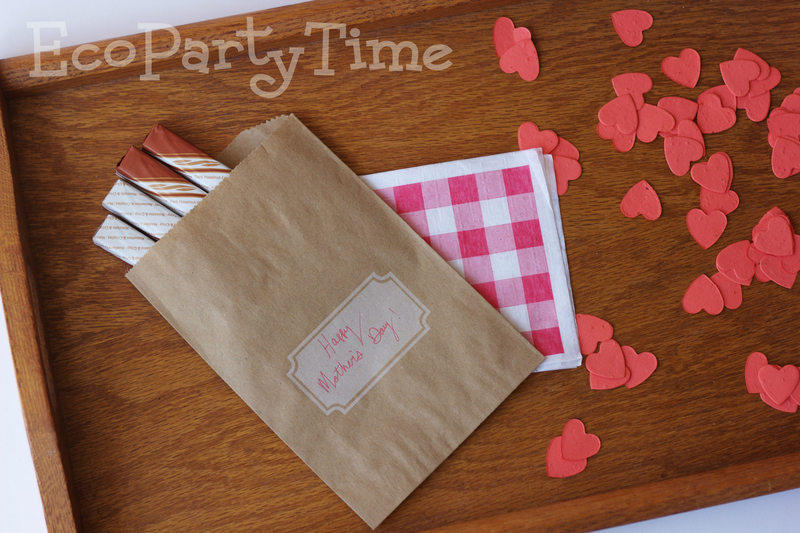 Simply find your mother’s favorite type of chocolate and fill Ecopartytime’s cute Goodie Bags! Last of all you’ll need some great food! I made delicious pancakes with a side of fresh watermelon. 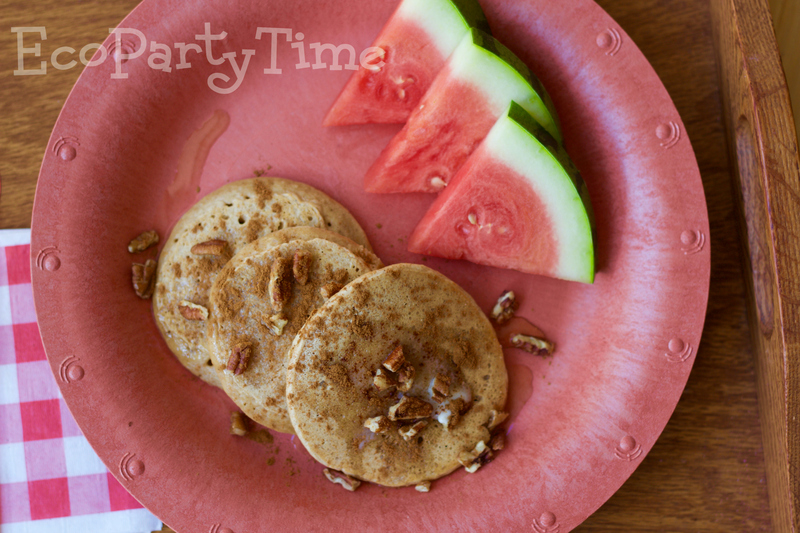 Ecopartytime's Colored Plates are nice and sturdy so you can smother those pancakes in delicious syrup! 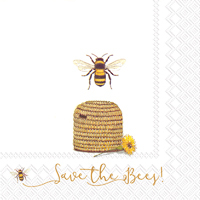 Now you’re ready to treat your mother to an Eco-Friendly Mother’s Day! 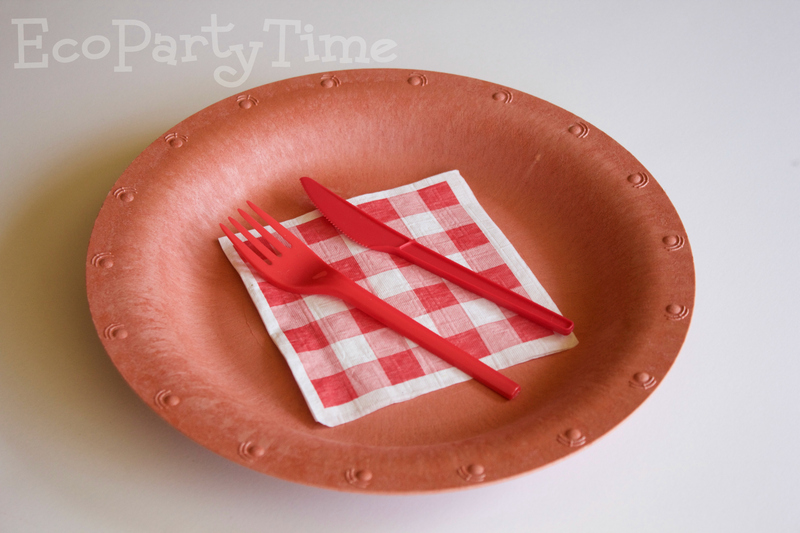 Ecopartytime has all sorts of tableware and decorations so you can customize everything to fit what your mother loves best! I suggest looking at the ‘Shop by Color’ section if you’re wanting to create a certain color scheme.